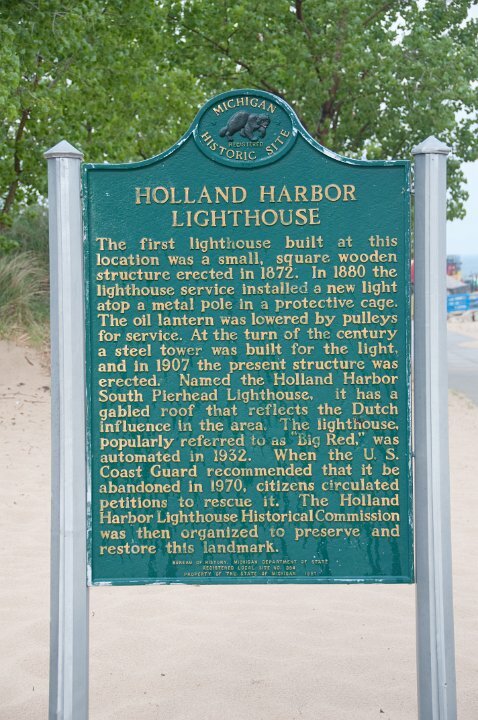 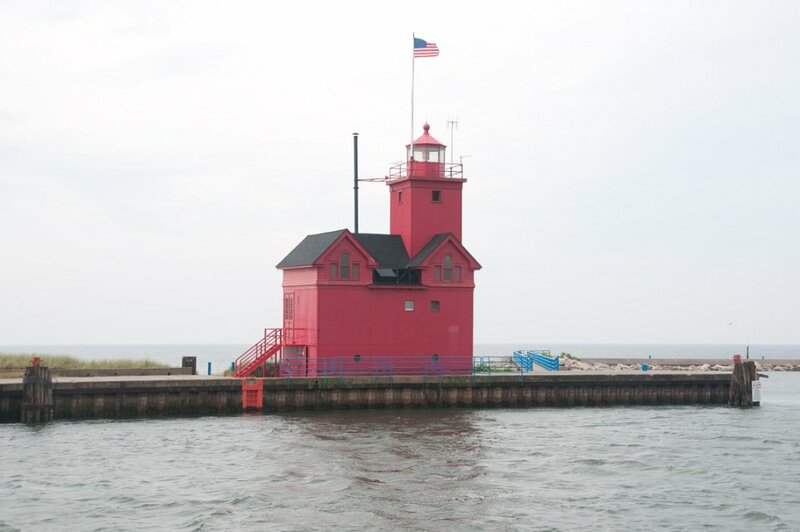 The Holland Harbor Light, known as Big Red, is located in Ottawa County, Michigan at the entrance of a channel connecting Lake Michigan with Lake Macatawa, and which gives access to the city of Holland, Michigan. 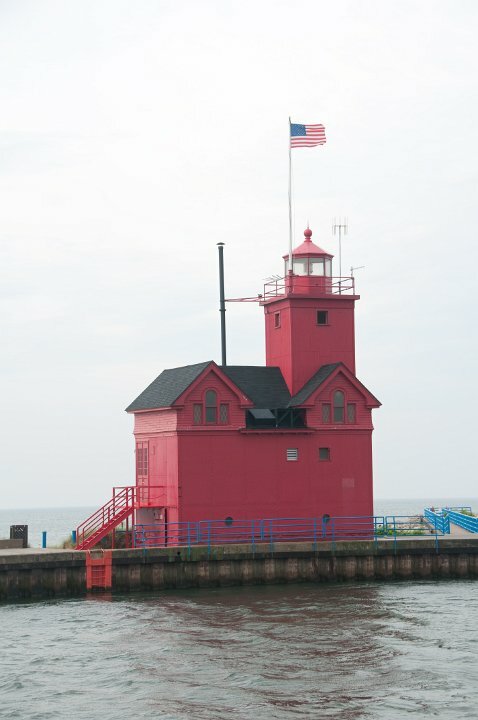 The lighthouse is on the south side of the channel. There are two modern lights marking the ends of the breakwaters that extend out into the Lake Michigan beyond the lighthouse.